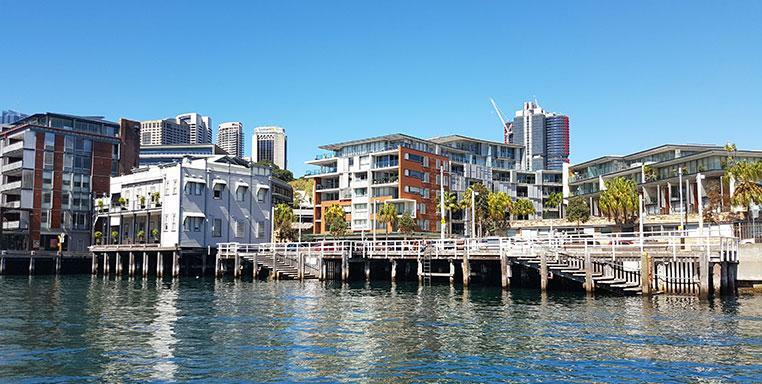 If you’re taking your friends on a water taxi tour of Sydney, don’t miss out on Walsh Bay. Each of Walsh Bay’s piers has its own unique features and attractions and Pier 9 is no different. Pier 9 still has many of the old classic Sydney Harbour features, including Barangaroo Point Reserve making it a great sight to behold. The famous El Phoenician Restaurant is one of these wonderful experiences or the pier 8 Cafe is one of Sydney’s favourite waterside eateries or take in a show at the Roslyn Packer Theatre. The classic award-winning Langham Hotel is Pier 9 favourite. This hotel even comes with its own Pampered Pets service. Majestic Water Taxis can take you to all the finest and most fun destinations on the water. Explore old and new Sydney and enjoy the Harbour’s many attractions. Call us or book online for your water taxi tour of fabulous Sydney Harbour.